A Professional Sing Panel is the only material that can create a door that is lightweight, insulated, sound deadening and guaranteed for structure and non-warp for 50 years. 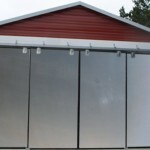 Sing Core’s patented panels and door cores can be made any size. 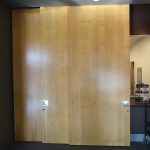 Although we excel with very large doors, our range extends from small cabinet doors to triple oversize movable wall systems. 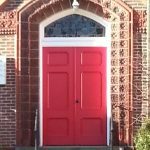 Read more about door sizing. How secure are your doors? With our patented core, you can rest assured that our torsion box technology will stand up to harsh treatment and all weather conditions. 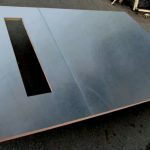 Our doors have been thoroughly tested and have been proven to withstand the impact of a sledgehammer. 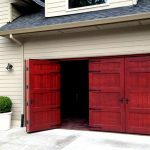 There is no comparison between the stability, structure, and strength of Sing Core doors versus paper-core doors. Doors do not have to be made out of steel to be rigid and strong. Sing Core doors are stronger and lighter, than steel and vinyl doors. Standard steel overhead garage doors are made of steel so thin that a golf ball can dent it. This is not the case with Sing Core doors. We offer higher quality doors at prices competitive with steel doors with quality superior to wooden doors. Sing Core doors are more stable, provide better insulation, and are far lighter than solid wood doors. 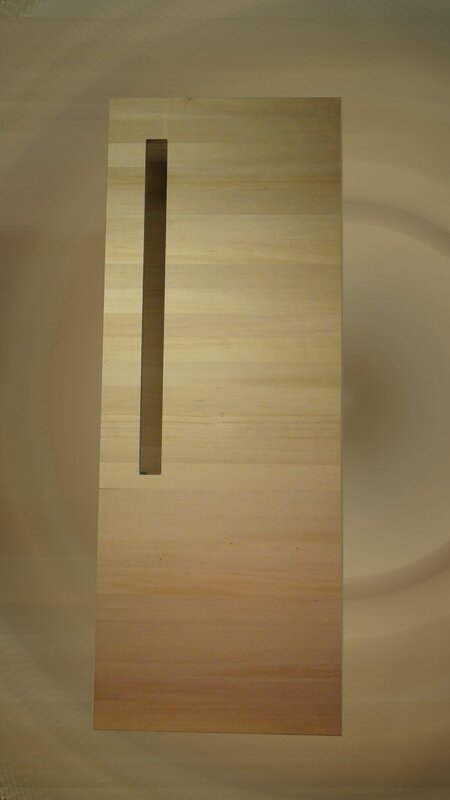 The torsion-box core holds the Sing Core door flat, ensuring that that the panel will not warp and sag like ordinary wood. Sing Doors are truly a breakthrough in concept, design and high performance. 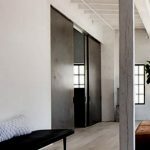 No other affordable door on planet can compare to Sing composite’s being so lightweight and so strong and – here’s the good part – ecologically responsible and sustainable. Compared to other materials that offer some structure stability the creation process wastes precious energy consumption, skilled labor, toxic chemicals, creating excessive contaminants and waste.  Sing doors are constructed of our patented Sing Core as the base. 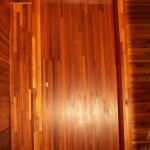 This system is constructed of a torsion box grid system that is built from natural vertical grain wood. This saves valuable natural resources. Next, the empty spaces inside the torsion box grid are filled wall-to-wall with recycled foam. 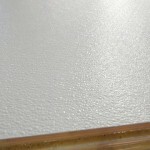 Add surface material (stress skins) using formaldehyde-free adhesive to complete the reinforced structural insulated panel. 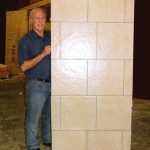 This results in the creation of a 100% solid base material that is 80% air, yet stronger than steel pound-for-pound (660 PSI) using very little energy, skilled labor and creating little or no waste. Your certified Sing Door can be guaranteed for 50 years against failure. This applies to any true flat certified door of any size in any application. This is where the competition fails. Though they may offer a warranty that looks good on paper, Sing Core’s guarantee covers doors that the competition wouldn’t touch with a 10 foot pole. 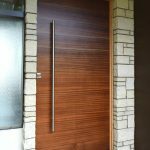 You might be surprised to find that exterior doors exposed 100% to the elements and huge doors of tremendous size can be guaranteed to be true flat and to stay flat without warp, bend or twist for 50 years. 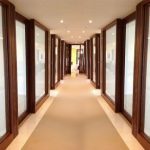 This is only possible due to the Sing Core secret ingredient and our years of door-building technology solving complex door challenges of the most high-end architects, designers, builders and homeowners. 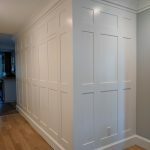 Plus, Sing Doors, though they are guaranteed for 50 years to not warp, bend, twist, crack, cup or fail, they are designed and built to last for centuries. 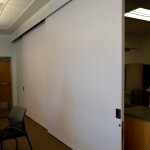 Your sing Door is not an inexpensive disposable door, like you might purchase at a big box store. Sing composite doors are packed wall to wall with insulation that can be adjusted to meet your specifications. For instance our standard EPS foam insulations yields R3.5 per inch of door thickness, but could be upgraded to higher R-value per your expectations. 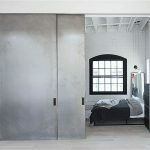 This also imbues each Sing Door with the unique ability to offer sound deadening qualities when the door is used in between two room, as an exterior door or as a bathroom door, also increasing safety, security and privacy. Sing Core doors are versatile and customizable. Every order is custom designed with the client’s project in mind. Each door is constructed using methods that specifically cater to our customers’ individual needs. We construct our doors using the following methods: pole barn grade, paint grade, wood grain grade, and plank grade. 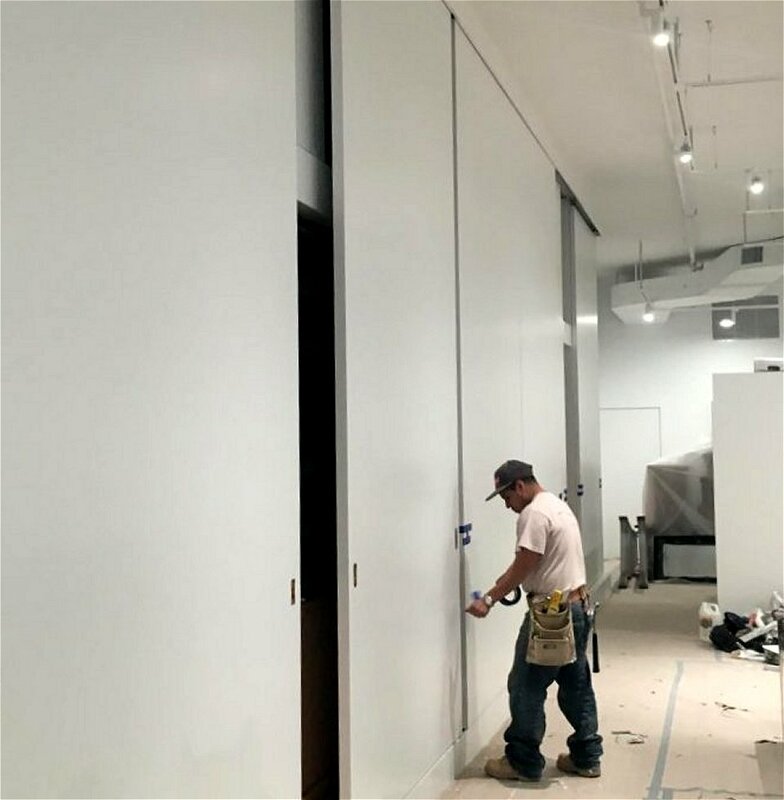 SingCore makes a full line of large, over-sized hinge doors, built to your exact specifications, exactly for your needs. You can now have large oversized hinged doors, like these 9-and-a-half ft. tall doors that you never have to worry about warping or servicing because the wood moved. Our doors are the most dimensionally stable on the market. With Sing Core doors, you get doors that are stronger, straighter, lighter in weight, and more warp free than any other door on the market. What’s more, they come in larger sizes, in more skin choices. They also come with our signature 50 Year Guarantee against warpage! Click the pricing button for more information! 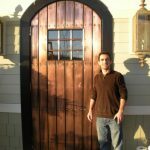 These hemlock wood stave doors are very tall and made of beautiful wood, insulated Eco-friendly doors that won’t warp, bend, twist or otherwise fail, guaranteed for 50 years. 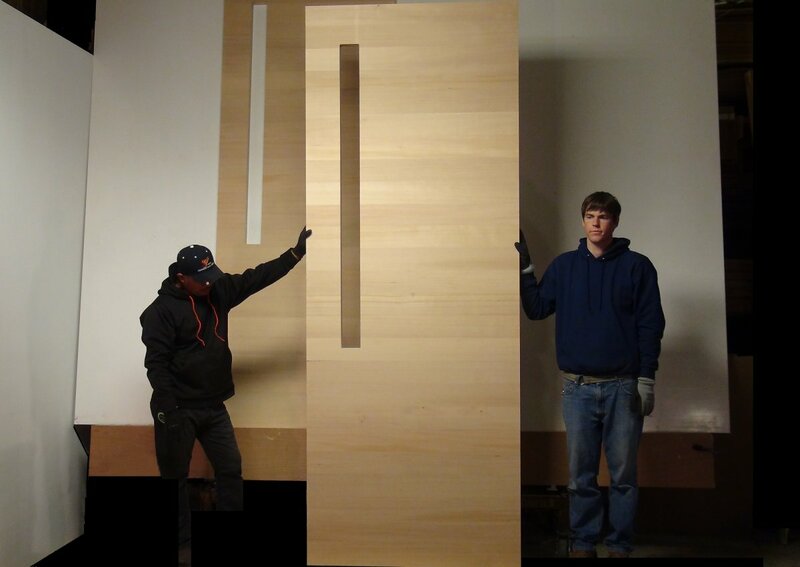 No other sustainable door over 7 ft. tall could offer such a guarantee while being lightweight and high strength. 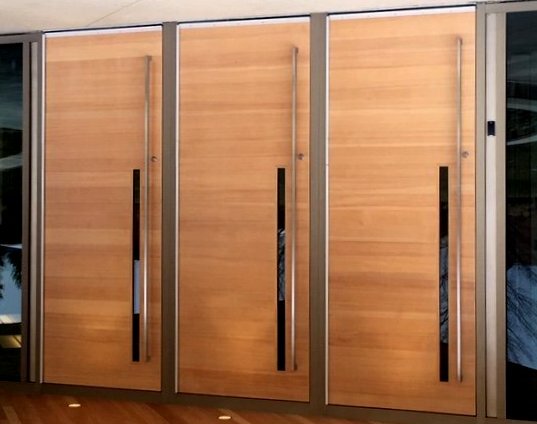 Most people don’t use large hinge doors, because of the problem with large doors warping, due to environmental conditions. 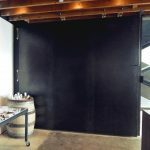 At SingCore, we have solved all of the problems with manufacturing large doors. 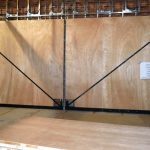 We build doors that are larger, more structurally stable, lighter in weight, warp free, according to AWI standards, more versatile for all of your applications. 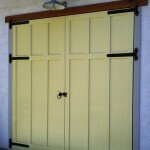 Our doors are also 100% American made, using the finest materials available. We use eco-friendly renewable components for all of our products.